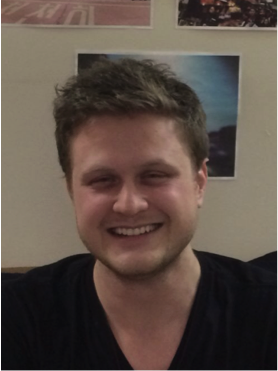 Liam Loxton graduated Capilano University (CapU) with an Associate of Arts degree with a focus in Applied Ethics. He is currently studying Cognitive Systems at UBC. Cognitive Systems is a program that mixes Philosophy, Psychology, Linguistics and Computer Science to understand the mind in hopes of developing new robotics and therapeutic techniques to improve people’s lives. Being involved and working on campus has been a large part of his life and he has been active on student council at CapU (Food and Beverage Student Rep.) encouraging healthy foods and fair trade. At UBC he was on his campus residence council and was responsible for community building and event planning. More recently, however, he is involved with Residence Life as a Residence Advisor which requires him to organize events with a focus on individual connections and providing academic or personal health resources. At Think Fun this year Liam will be assistant head to Warren Bowen in Creative Sparks. He hopes to take his unique academic and working experience to start new and creative ways of connecting with out world with a philosophical and technological twist.